“Victoria” is up for preorder! The preorder cost is only $3.99, but after September 30th the cost will be $4.99. 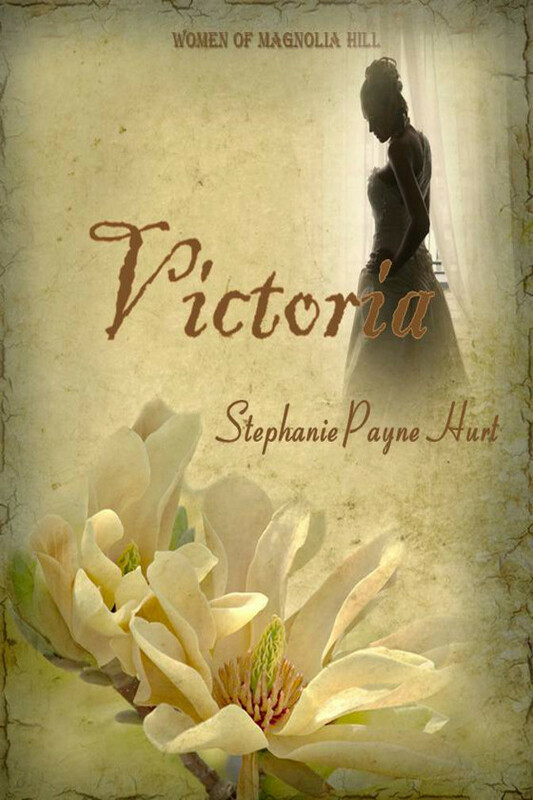 “Victoria” is part of the “Women Of Magnolia Hill” Saga by Stephanie Payne Hurt. It starts before the Civil War and is based around Atlanta, Georgia. As the war talk escalates Miles Slaughter knows his daughter Victoria needs to find a husband. Victoria is not going to marry just anyone. Her heart is set on finding the love of her life. While Miles is in Boston on business he meets Zane Camden, a shipping company owner. He’s impressed with the young man. When he brings him home to meet his daughter, sparks fly and her anger flares. Miles tries to gather support from his four sons, but they know their sister. Zane can’t believe how beautiful she is and her anger only makes his interest stronger. Will he be able to win her heart before war is declared? This is a romance with suspense, family, and interesting characters.It’s hard not to fall in love with Victoria and her family. This is part one of the saga that will tell the stories of Magnolia Hill Plantation from before the Civil War and go through to present day. Find out through the books what happens to the Slaughter family and their descendents. Categories: Uncategorized | Tags: Author, Civil War Romance, Historical Romance, Romance, Saga, Stephanie Hurt, Victoria, Women of Magnolia Hill Saga | Permalink.